My Checker Box – capsule toys for adults? My Checker Box’s ground floor location, rare for this sort of shop, is a large 1900 square feet. Instead of a single owner, compartment shops typically rent out small cases of varying sizes to potentially over 100 different want-to-be retailers. The interior of the store includes modifiable compartments so that renters can create a tailored fit for their inventory. It’s up to the individual tenant what kind of merchandise they’d like to sell in their box. The space is well lit, and features an interesting design both inside and outside the shop. 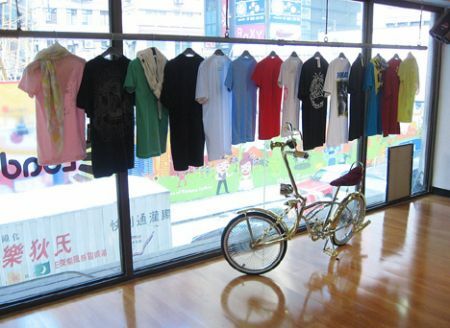 Part of what makes the place attractive is that the items for sale (in clear plastic cases,) become part of the design. With the right positioning, each compartment is a tiny universe unto itself. The experience of browsing the unique displays is reminiscent of glancing over toys sold in plastic bubbles. At the time I visited there was a strong mix of products, from rare, limited-edition sneakers to eyeglass frames and designer items from celebrities. Where I think this type of shop has additional potential is in selling small hand-made products, such as the kind available at the crafts fair we covered. As I’ve stated before, I like these shops because they give people an opportunity to dabble in the basics of creating a product and running a store. Facing Hong Kong’s exorbitant rents, it also provides a way for small designers to showcase their work without needing a huge initial investment or commitment to opening their own shop. Unlike previous places we’ve written about, My Checker Box does not take a cut from the tenant’s sales. 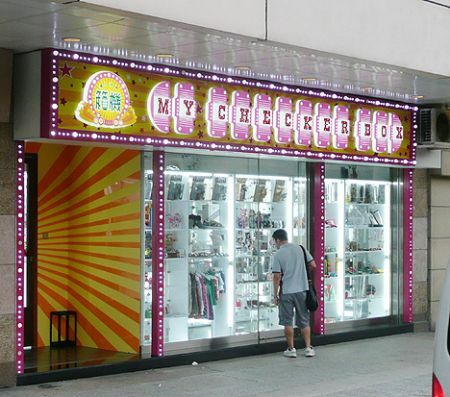 My Checker Box offers different rents depending on the size and location of the space within the store. It’s a very interesting concept, taken to a higher level than previous shops I’ve seen. Factors that may influence their success include whether they can get good foot traffic and attract the right kind of browsers. For details on their pricing information, have a look at the My Checker Box Facebook page. 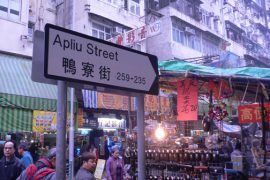 Next articleHong Kong Hip Hop history – in videos! These stores are spreading to Toronto fast as well. No idea how they will do though. I guess we’ll see in a couple of months.